VCSP partners can now offer NEW Veeam-powered services — whether in the cloud, or on physical and endpoint devices — with FREE unlimited usage through December 31, 2017. This offer is available for existing VCSP partners and is also open to those who are interested in becoming a VCSP partner. Register for the offer here. The list of the Veeam products service providers can now leverage truly goes beyond one protection strategy, and enables VCSP partners to protect their customers’ data whatever their requirements may be — whether virtual, physical or in the cloud. It also reinforces Veeam’s goal of enabling partners to deliver Always-On Availability. Let’s dive into the new products that service providers can now leverage. NEW Veeam Agent for Microsoft Windows and NEW Veeam Agent for Linux both deliver simple backup and powerful recovery for physical servers, laptops and desktops, and virtual servers in AWS or Microsoft Azure. The release of the Veeam Agents has created a massive opportunity for VCSP partners, enabling them to not only protect their customers’ virtual data, but now also be able expand their services to the other half of the coin — with physical data protection. This will enable VCSP partners to deliver true value to customers by using Veeam’s products to protect their customers’ entire hybrid environments. Veeam Cloud Connect is one of the easiest ways in the market to leverage the cloud for off-site backup and disaster recovery. Hundreds of VCSP partners have been offering Cloud Connect services to their customers for a few years now, with much success in helping customers secure virtual backups in the cloud. And now, Veeam has extended its proven technology for cloud backup of VMs to physical workloads with NEW Veeam Cloud Connect Backup for Service Providers for servers and workstations! 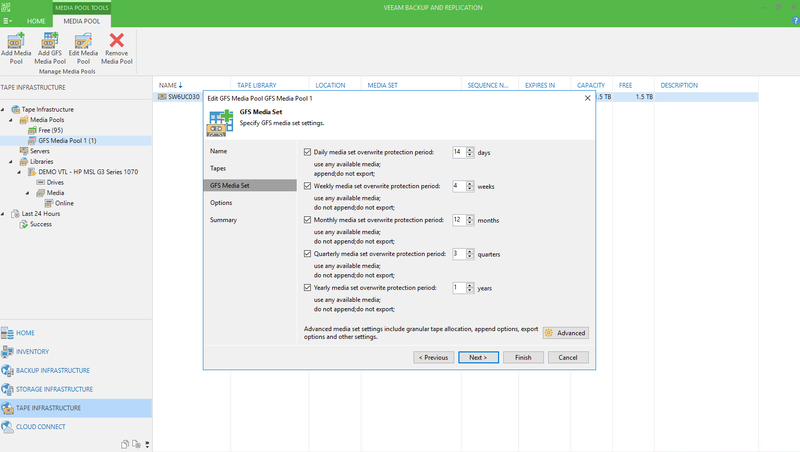 This means that service providers can now host Veeam Agent for Linux backups with Veeam Cloud Connect, and back up Windows-based physical data directly to Veeam Cloud Connect with Veeam Agent for Microsoft Windows. We’re looking forward to having service providers build on the successes of Veeam Cloud Connect VM protection by now being able to offer their customers a secure repository for off-site cloud backups of their servers and workstations as well. Coming soon Veeam Backup for Microsoft Office 365 will have new VCSP capabilities in version 1.5. This will allow VCSP partners to offer a managed backup service for all their customers using Microsoft Office 365. While Microsoft takes on much of the management responsibility, customers still need a backup of their email data. With the adoption of Office 365 continuing to sky rocket, there is a great need to protect email data — which VCSP partners can now help fulfill with Veeam-powered Office 365 backup services. Service providers today have an increasing number of objectives, priorities, products, services and teams to manage, but don’t let this opportunity with Veeam pass you by! Our new solutions are easy to install and use, and integrate seamlessly with Veeam Backup & Replication, Veeam Cloud Connect and Veeam Availability Console (coming soon). Veeam will work tirelessly to ensure that you are successful in offering these new solutions. Let’s partner together and bring more value to your customers! VCSP partners should register as soon as possible to take advantage of this offer. Veeam resellers looking to become a VCSP partner can easily apply for membership, and then register for the FREE VCSP licenses. Not a Veeam partner? No worries — apply to become a partner, then register for the offer. The post Special for service providers — Veeam is now on virtual, physical and in the cloud! appeared first on Veeam Software Official Blog. Today most big storage providers offer some form of long-term physical tape library storage, which enables customers to utilize a cost-efficient cold storage option. But, there can be a few key issues faced with physical tape library storage. The first is complexity that surrounds exportation and management. The second is the cost of upgrading — old tapes are slow and unreliable but new ones are not cheap. Storing conditions can also be an issue, since you must keep the tape media at specific temperatures. There is also the issue of not being able to integrate — or even replace — that cold storage into an existing cloud backup infrastructure. This is where the scalability and ease of management with a virtual tape library (VTL) can truly excel for an IT staff, who need seamless synchronization between their on-premises data and cloud backups. The option to replace a tape infrastructure with a modern, cloud-based storage system is attractive to many and this is why Veeam is investing in a VTL technology. At VeeamON 2017 we had many exciting announcements and one of these was that Veeam customers can now leverage VTL on Amazon AWS object storage as a scalable and cost-effective tape alternative. The great thing about this solution for Veeam customers is that it works with Veeam Backup & Replication, with zero changes needed to existing backup processes. The lack of change of process is an important point, as many organizations build their operational procedures as well as expectations of where different restore points are with rules based on tape capabilities. With Veeam’s integrated VTL solutions, the data lives on low latency AWS public cloud storage (Amazon Simple Storage Service S3) and contains smart de-staging that allows the data to move to even more cost-efficient Amazon Glacier Storage for long-term retention. Veeam currently has two options for VTL which include either utilizing Amazon’s native VTL, or StarWind VTL to Cloud. Additional options to be announced at a future date. As mentioned, Veeam customers have multiple VTL options when it comes to offloading Veeam backups to AWS. When deployed, the VTL lives on a virtual machine or server on-premises and presents itself to Veeam Backup & Replication — this is where the magic happens. The VTL can mimic itself as a physical tape device and in turn can receive the tape data, which it then feeds off to low latency S3 storage for quick recovery capabilities. As the VTL is emulating an on-premises physical tape device, there are again no required process changes to those already familiar with backing up to tape. 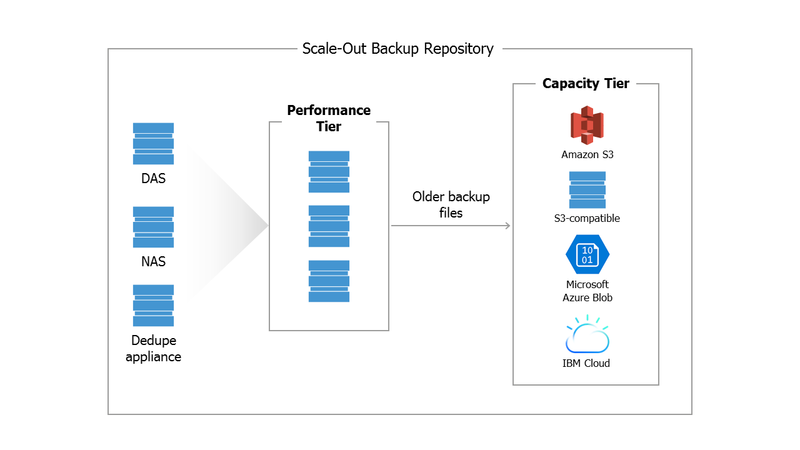 After living on S3 Storage, users can then choose to move data to Glacier and while with Glacier it can take 24 hours to recover compared with more instantaneous S3, Glacier excels for purposes of long-term retention and cost-efficiency. VTL simplifies integrating cloud storage tiers into existing backup infrastructure, but one other important thing this now allows you to achieve is the ability to complete the final stage of the 3-2-1 rule by getting a copy of your production data off site. Relying solely on on-premises physical tape storage is far from ideal for an organization’s disaster proof backup plan. Yes, you could keep it old school and have your physical tapes shipped to a secondary site, but what are the costs for the shipments and what if the tapes are misplaced? And would shipping physical tapes off-site truly enable your organization to obtain maximum Availability with minimal chance of downtime? By being able to integrate your physical tape instances into a virtual setting together with existing virtual Veeam backups, you can easily recover from an off-site location with data safely residing in the cloud in the event of a disaster. The post Veeam VTL to Amazon S3 & Glacier: A cost-effective tape alternative! appeared first on Veeam Software Official Blog. The post $1,000 in FREE cloud services offered to customers globally appeared first on Veeam Software Official Blog. The post Cloud backup security concerns appeared first on Veeam Software Official Blog.